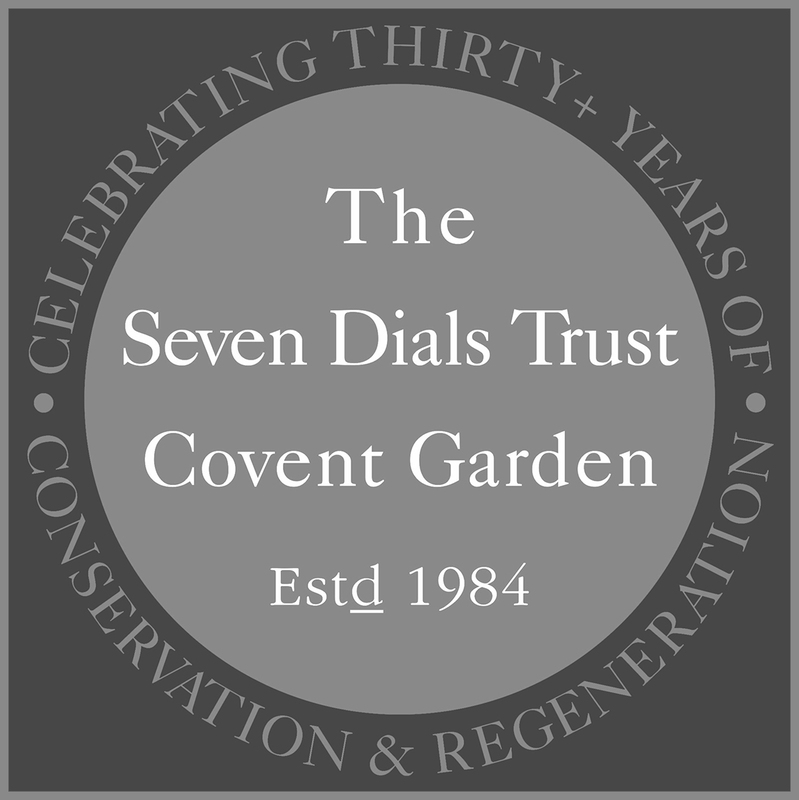 Here are links to a number of publications and articles which provide a broad background to the history of the redevelopment of Seven Dials and Covent Garden as a whole. 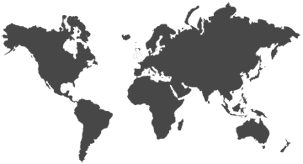 We've included some documents which we believe are not to be found anywhere else on the web. 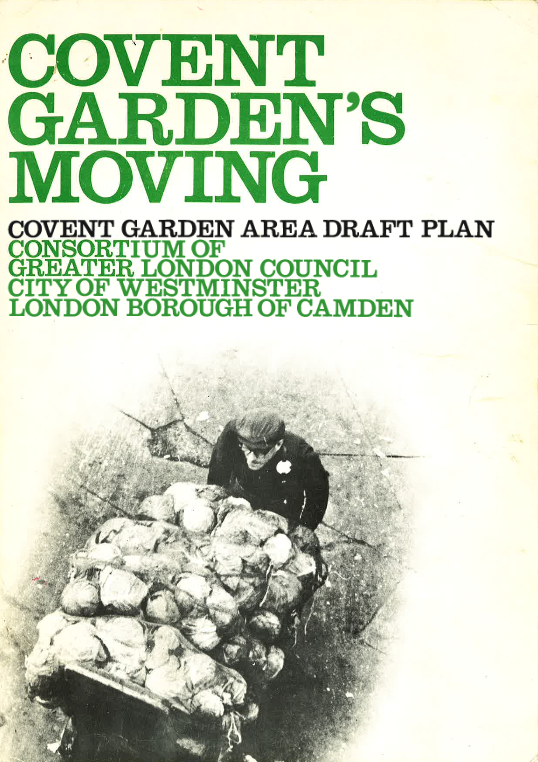 The draft plan drawn up by the consortium of local authorities following the decision to move the wholesale market out if Covent Garden. 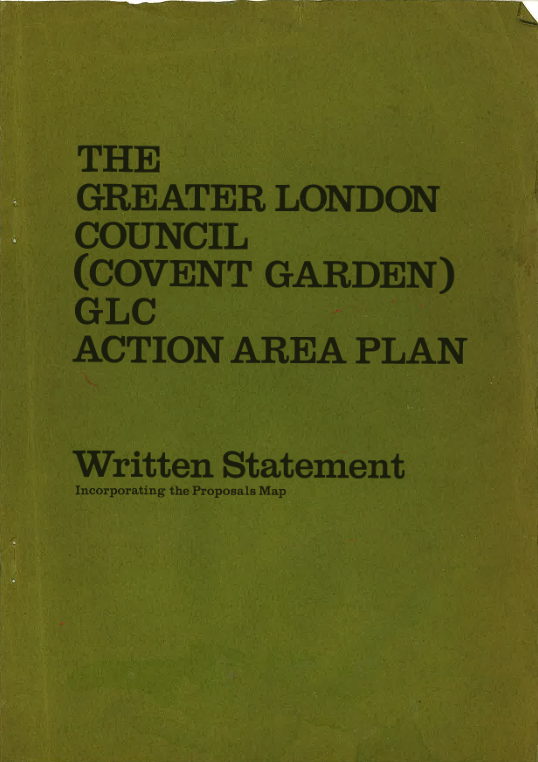 Revised Plan for the Proposed Comprehensive Development Area. 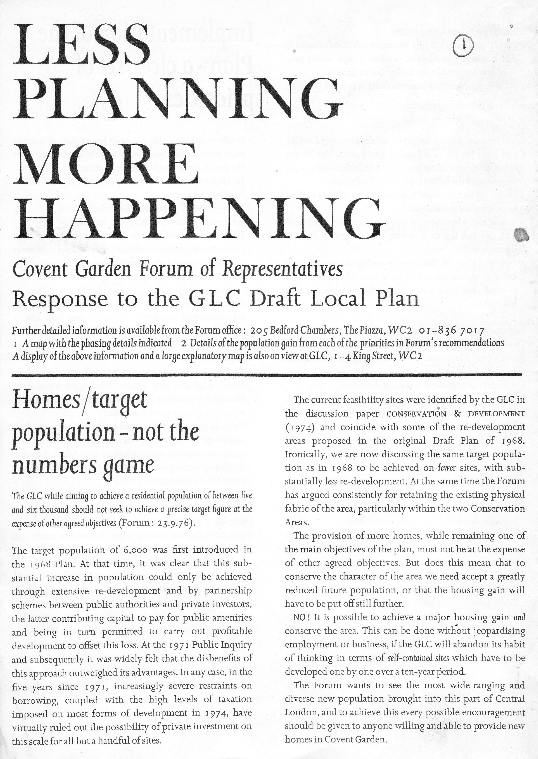 The formal response to the draft Local Plan by the Covent Garden Forum of Representatives. 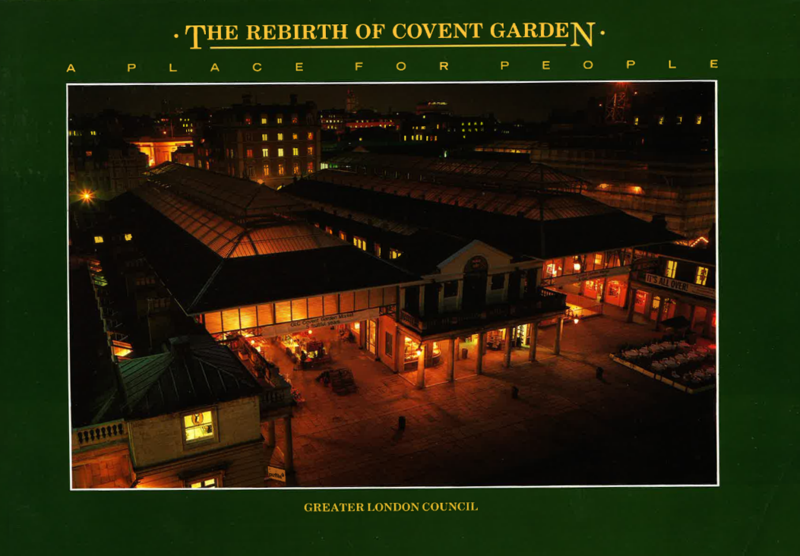 Narrative history of the journey towards the adopted Covent Garden Area Plan. 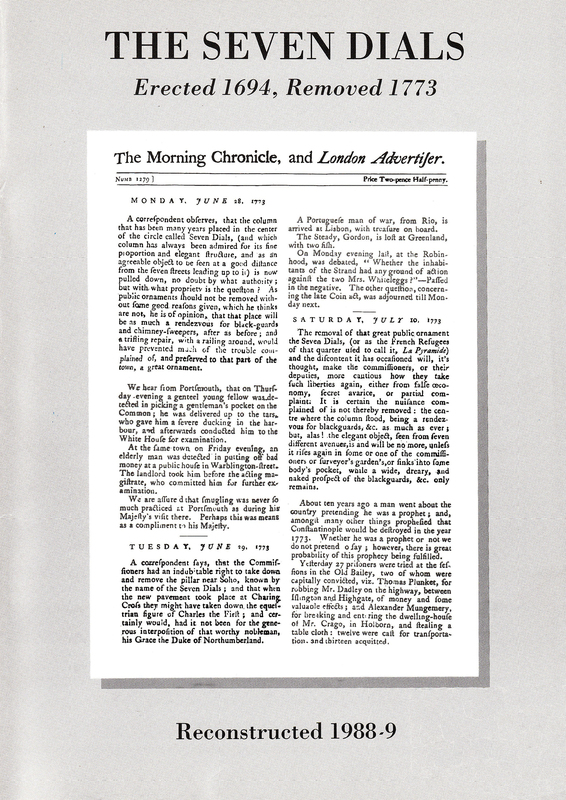 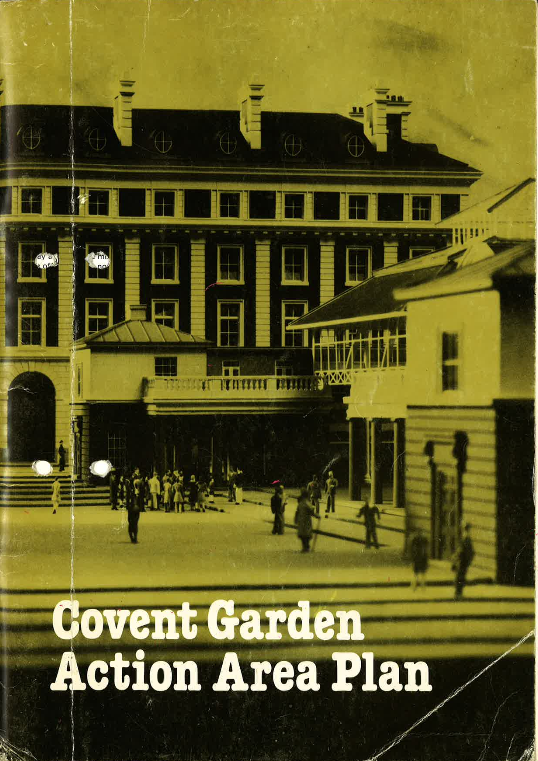 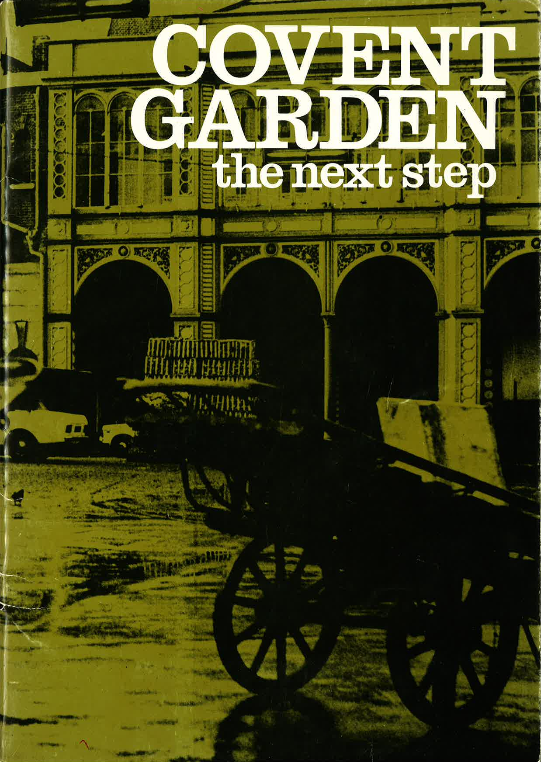 **Courtesy of The Covent Garden Area Trust Library. 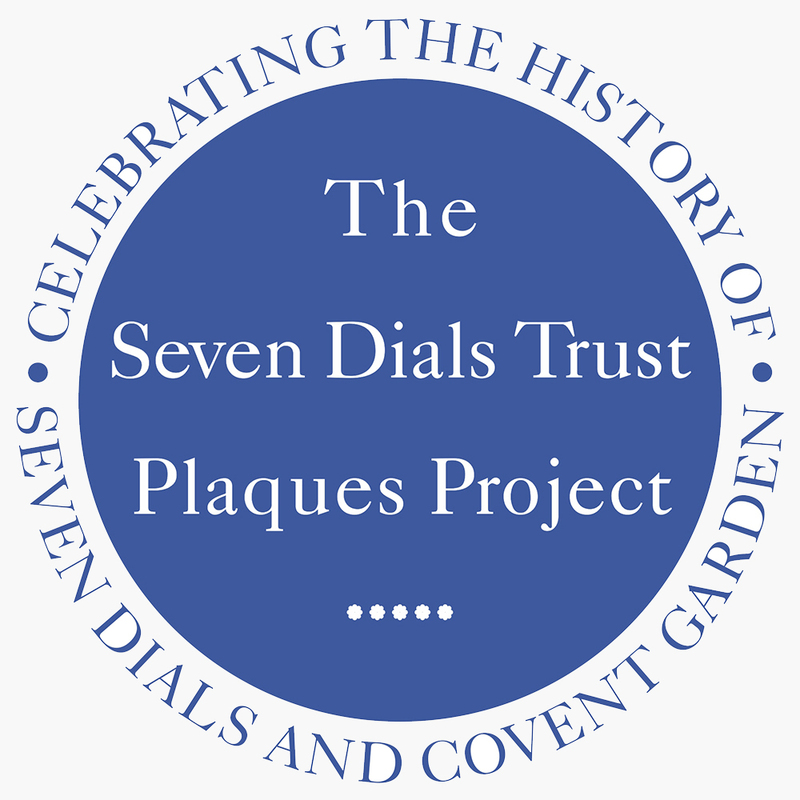 Illustrates some of the Trust's early works in preparing for and constructing the Sundial Pillar. 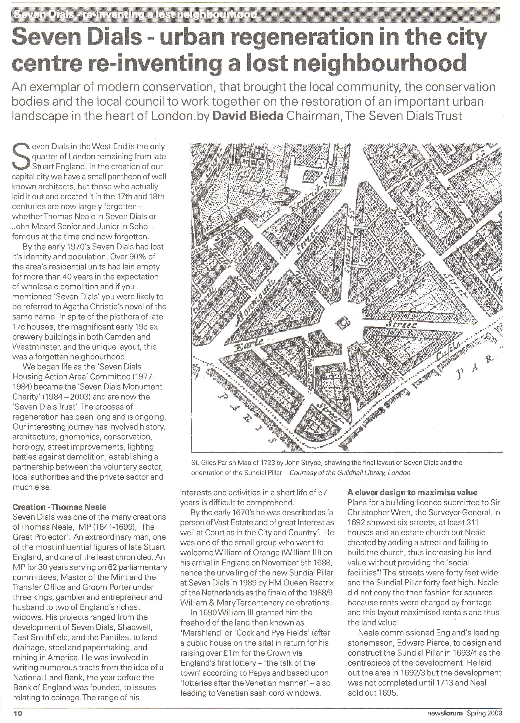 A feature article published in Newsforum, the quarterly newsletter of The London Forum of Amenity & Civic Societies.